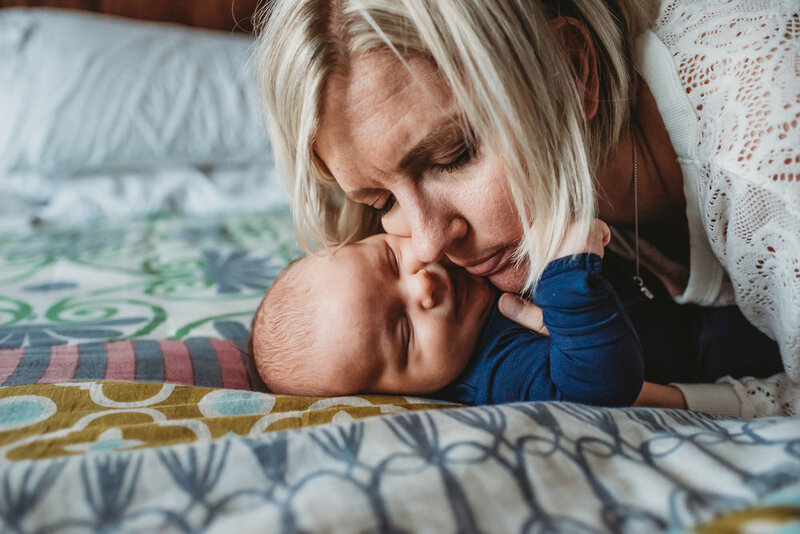 This is how you want to remember those early newborn days. So much love, tenderness, uncertainty, beauty and just ALL THE FEELS. Baby Meira’s in home session was just that. Chelsea and Todd got to focus on their new baby girl, while I captured all of the special moments and emotion that this fleeting time holds. Enjoy! It was a beautiful day full of sunshine, warmth and love as Jess and Sam said I do to forever at their outdoor wedding on the sweetest farm nestled in Delaware, Ohio, The Farm at Harvest Hills. So many friends and loved ones were there to celebrate these 2 families joining together. Thanks for including me in your special day! I get SO excited when a mom contacts me for a family documentary session, especially when there are fun and meaningful family traditions involved. I gladly drove to Gahanna, Ohio early this spring morning for this special last day of school session. I mean, how cool! This mom wanted her daily walk to school with her girls documented, as well as all of their sweet morning routine. Here are some favorites from their session! 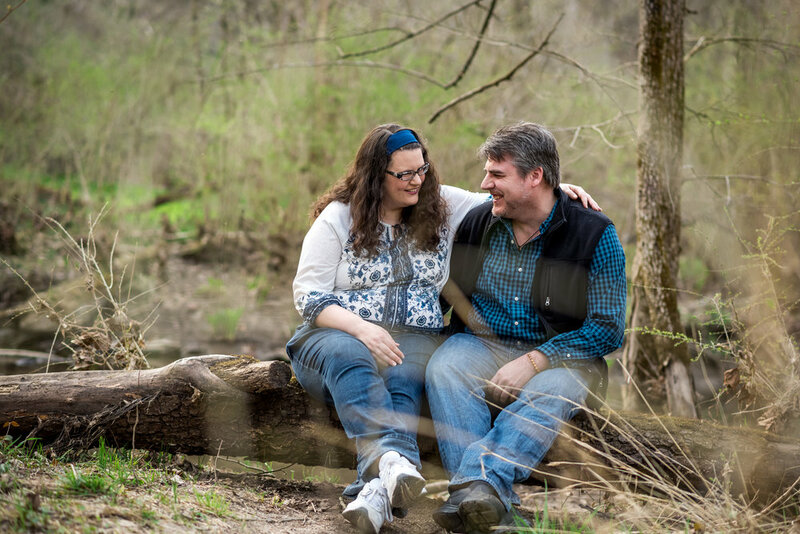 Angie + Evan had a pretty magical engagement session in Glen Helen in Yellow Springs. 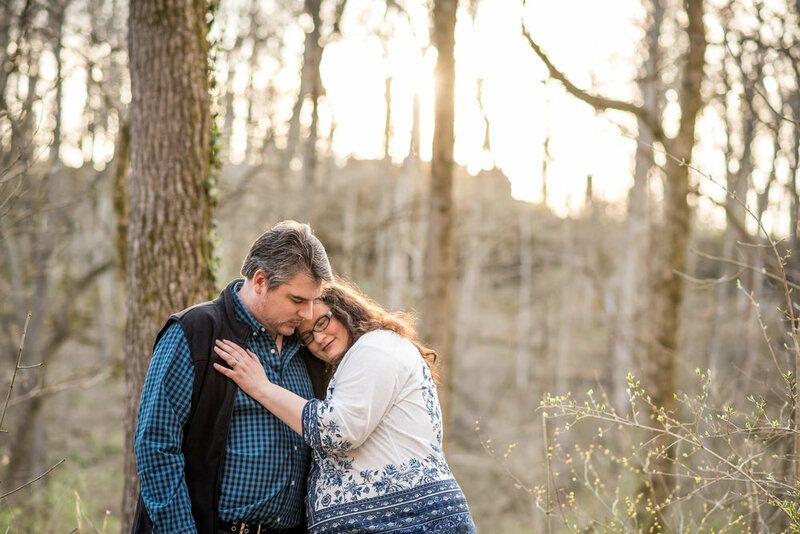 From the sun peeking over the cliff, to the sprouts of spring green, this nature preserve was the perfect place to capture their love story. I can’t wait until their wedding in a couple of months! Chelsea and I go way back, (like she was one of my bridesmaids 16 years ago), so I was over the moon excited when she asked me to take these spring maternity photos. She said she was looking for a pretty field and I said I know just the place! The Clarence J Brown Resevoir and Dam in Springfield, OH is one of my all time favorite locations. The light is just dreamy at sunset and I knew it would create a beautiful natural setting to capture this sweet time in their lives. 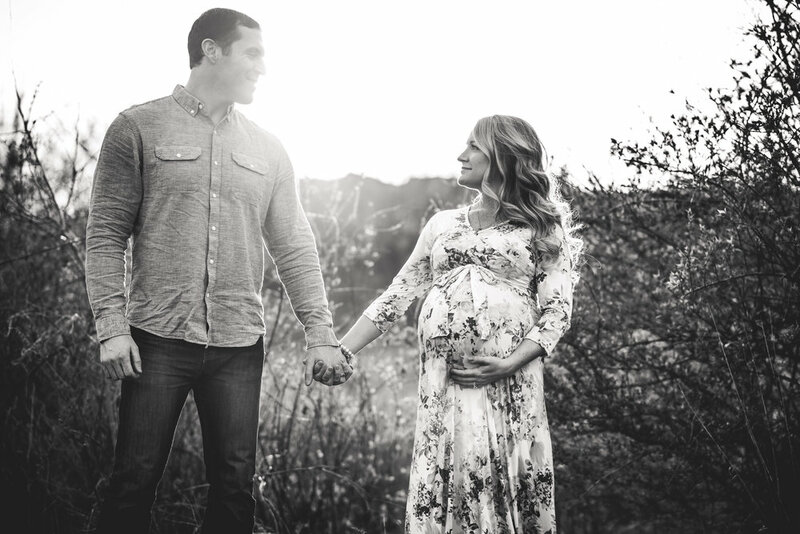 I can't wait to meet their baby girl in a few short weeks! Here is a little sneak peek of some of my favorites. Stay tuned on the blog for more coming soon! I would love to capture this precious, fleeting time in your life! Contact me today to ask about my special maternity/newborn package! What's more fun than a sweet couple, some gorgeous light and the two of the cutest pups ever? Nothing I can think of! I had so much fun capturing the love that Stacy and Isaac have for each other and their furry babies. It turns out this session would mean a lot more than we originally thought. In loving memory of Brendal, the pug, please enjoy this fun couple session with their sweet doggies! What do you get when you combine a fun family, some playing cards, an epic snowball fight, fresh snowfall and Christmas? You get this cozy winter extended family session. I loved every minute of it, I think you will too! 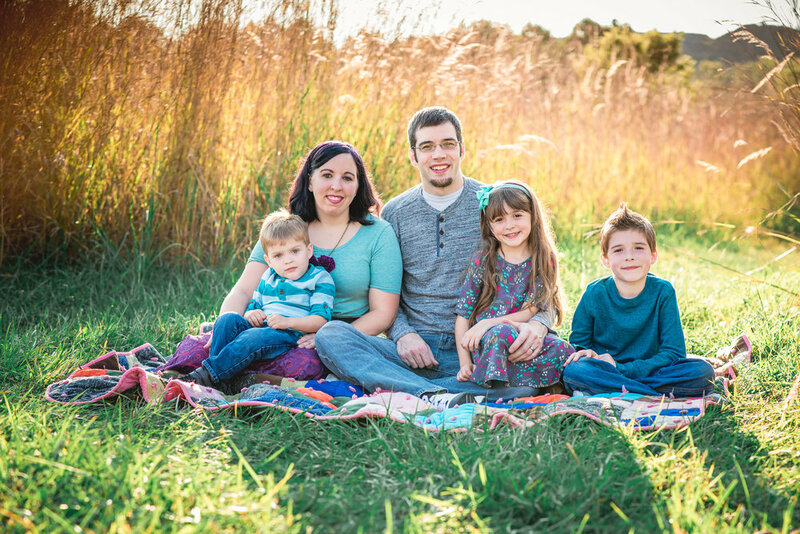 I believe that a family photo session should be an adventure! A date with your family that becomes a cherished memory not that time you stood and smiled pretty for the camera. I love exploring nature with a family, capturing their heart and connection and playing with pretty light! That's exactly was this session with the B family was all about, and I loved every minute of it! 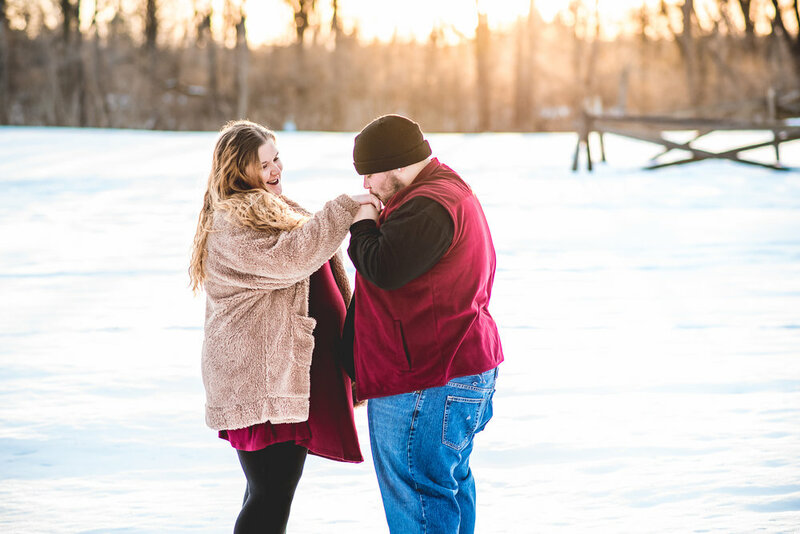 The weather may be cold, but this cozy in home one year milestone session will make you nice and warm and I guarantee a little Christmas spirit on the side! An evening filled with adventure, laughter, hugs and kisses, and the sweetest family. Enjoy this sunset session with the B family! When the bride and groom get married at the place they first met, it makes the day that much more special. Emily and Zack said I do in the Spaghetti Warehouse in Columbus, OH; the place where their story began. Surrounded by close family and friends, it was a cozy, laid back, intimate affair with great food and great fun! Congrats Emily + Zack! On another gorgeous day for a September outdoor wedding, Jim and Kelly said I do under a huge old tree with the sunlight streaming through the branches on The Willow Tree's beautiful grounds in Tipp City, Ohio. It was a laid back, intimate affair surrounded by close friends and family. These guys know how to have a good time, as they sang and danced the night away at the open barn reception. Congrats Kelly and Jim!! When the bride and groom tell you at your first meeting that they are having their wedding at the Spaghetti Warehouse in Columbus, Ohio. You say yes!!! When they tell you WHY they chose this fun venue, you say yes with both hands raised! It was a warm one that sparkled with sunlight and laughter as Kelly and Jim said I do under the huge oak tree in this beautiful outdoor wedding at The Willow Tree in Tipp City, Ohio. Here is a sneak peek of their day! Combine a tree swing, a handsome groom and a glowing bride, add some laughter and a few tears mixed with love, friendship and family, and you get Maddie and Brenden's wedding day! It was such a special celebration and I am honored to have captured these priceless moments!